For people like me, who don’t journal as a part of everyday life, organizing our thoughts and minds can seem like an overwhelming task. Personally, I have had trouble in the past with journals that have a set format or prompts to follow already printed on the pages. Personally, my brain looks at the flow of these journals and says “nope”. This has led to me having piles of unfinished journals lying around in drawers or on my desk. All of this changed when I discovered bullet journaling. A bullet journal, for those who don’t know, is actually a method of journaling more so than a product. This method is great for those of us who have to-do lists, itineraries, lots of due dates, or a need to further organize the elements of our lives. 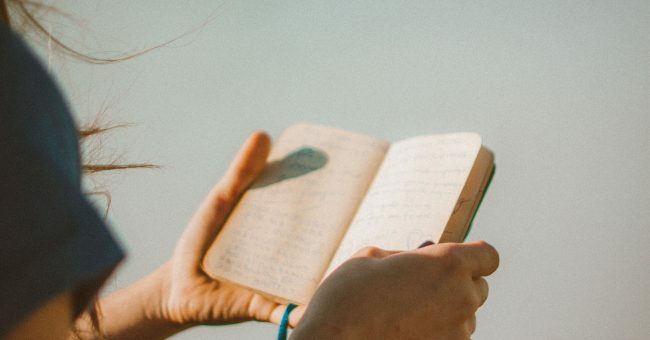 The aspect that drew me to bullet journaling is that it’s a great method for people who are new to, or really bad at other journaling methods. The method for bullet journaling revolves around jotting down quick bullets instead of writing long sentences. This is a perfect way for a beginner journalist, writer, or traveler to better organize things like appointments, ideas, tasks, packing lists, and everyday life. Here’s my favorite setup if you need further inspiration. One of the greatest aspects of a bullet journal is that it’s a place to organize tasks, so that you can ensure nothing falls through the cracks. Organize the pages by either day or week, and make sure to leave some room on the page for further notes or tasks that pop up during that time period. A great way to prioritize these tasks is by color. I am a very visual person so I can take a glance at my journal for the week and know that red pen means urgent tasks, blue pen means daily tasks, and black pen notes the least urgent tasks that should be done by the end of the week. Place a box by each task, and check off as the tasks get done. Here is the section that is especially useful for people who like to start planners at the beginning of the year, and end up ditching them somewhere around March or April. You can either blend your to-do section with this section, or keep them separate. The best way to go about this is to decide whether you need daily, weekly, or monthly planning, and to separate these onto whole, half, or quarter pages. This is a great place to track longer term goals and experiences. By leaving yourself a few pages of open space to jot down thoughts, feelings, aspirations, and reflections, you’ll be able to look back on your experiences and identify trends in your thinking or actions. This process makes bullet journals good for both self reflection and learning. A great way to get started is by jotting down either three are grateful for each day or three things you learn each day, this process will help you to get into the habit of daily self reflection. The most important thing to remember is that there is no right or wrong way to bullet journal, as long as you do it. Don’t worry if you have bad handwriting or if your journal is messy. In the end, this is a tool for you.